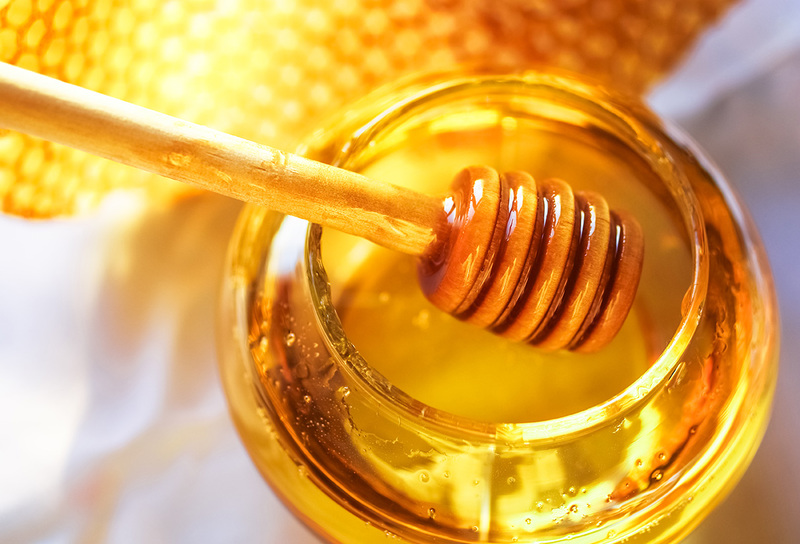 Natural honey is a multi purpose as it can be used for virtually everything from cooking to beauty treatments and health purposes, the list of its use is endless. Honey is a sweet food produced by bees from the nectar of flowers. It is very rich in vitamins and minerals and offers anti-inflammatory and anti-fungal properties. Real honey is usually expensive but the imitation is cheaper. There are 3 types, the natural pure, the adulterated and the artificial honey. The natural/original raw honey is that which is made by bees while adulterated/artificial honey is a mixture of natural one and other ingredients. It is made of syrup from sugar, corn additives and food colouring. This food item should be purchased directly from the local sellers or from people that get it directly from the beehives because it is more likely to be pure. Here a few ways to know for sure. 1. Fill a glass of water and add 1 tablespoon of the product. Result: Pure honey would lump and settle at the bottom while artificial would just start dissolving, real honey crystallizes over time while imitation does not. It remains looking like syrup. Result: natural honey would light the match easily and burn off the honey, fake will not. 3. Add 2 or 3 tablespoons to a microwave proof and heat on high power until its hot. Result: natural honey will caramelize quickly and never become foamy, adulterated or artificial one will become bubbly. 4. Real honey gives a tingly feeling in the back of your mouth right before swallowing. 5. Spread product on a slice of bread. Result: the real honey would harden the bread while the imitation would wet the bread because of its moisture. 6. Place a few drops on a tissue paper or a notebook. Result: real honey would not perforate the book for a long time. 7. Natural honey is not sticky if you rub it between your hands. 8. Original honey does not expire. This is because it has a very high PH and very little water content so the micro-organisms or bacteria cannot multiply. If there is a difference in the taste or colour of your product after a period of time it is not the original. 9. If the product is in a bottle shake it for a while. Result: if it is real honey it would issue a burst of steaming foam when you open the lid of the bottle. 10. The last way put a few drops of the honey in an open place, ants will not be drawn to the original due to the level of its ph but ants would be quick to surround the imitation because of the additives added. You guys are simply the best keep it up.